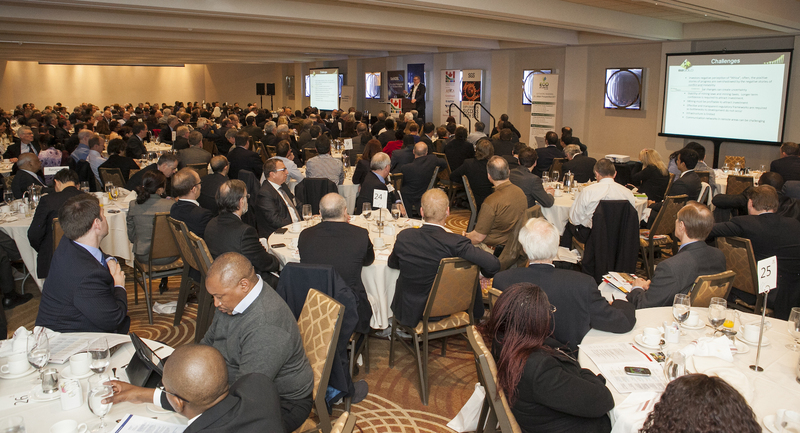 Join us for the biggest African event in North America – The Canada-Africa Chamber of Business 19th Annual African Mining Breakfast and MineAfrica’s 16th Annual Investing in African Mining Seminar with Premier Sponsor SGS during PDAC in Toronto. The morning features 24 presenters and a senior-level audience of 350 participants – all with an interest in mining in Africa. The morning kicks off with a keynote breakfast address by Mark Bristow, CEO, Randgold Resources, followed by MineAfrica’s seminar with concurrent presentations in four seminar rooms covering project updates by public and private mining companies, country overviews by African mining ministers and presentations on current trends in African mining by expert advisors. MineAfrica also has six booths at the PDAC Trade Show, which we sublease to African governments, mining companies and service providers in a mini-pavilion concept.